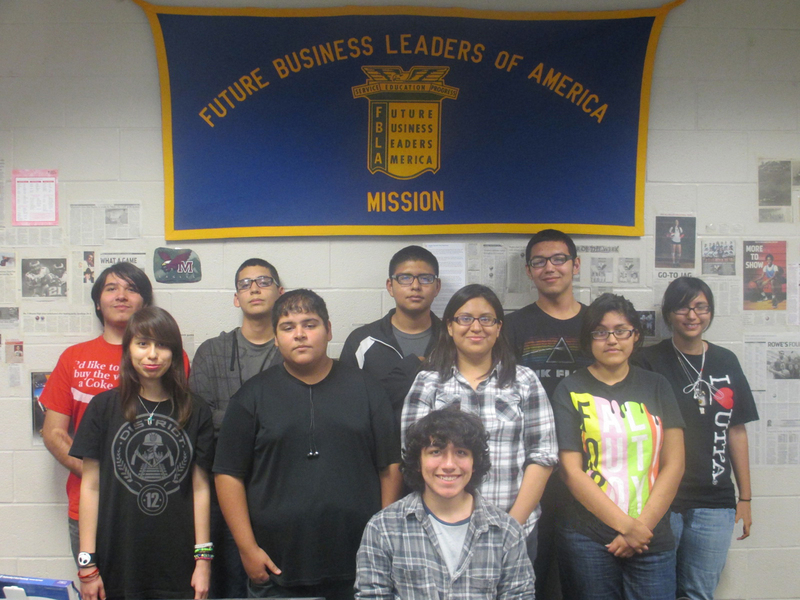 A total of 13 Mission High School (MHS) Future Business Leaders of America (FBLA) students have qualified for the Texas FBLA State Leadership Conference to be held in early March in Dallas, Texas. Two additional students will serve as alternates. The students who are advancing to state are: Anna Cazares, database design and applications; Yvette Cazares, word processing I; Emma Contreras, business communications; Joseph C. Esquivel, business calculations; Josiah D. Esquivel, business calculations; Jorge Andres Garcia, accounting I; Eri Longoria, business math; Jocelyn Lopez, accounting I; Edward Markowsky, health care administration; Edgar Navejar, business law; Julio Perez, business law; Mario Salinas, business math; Jacobo Solis Jr., business law. The two alternates are: Carlos Nava, cyber security; Crystal Pinon, business communications. Pictured on the front is: Josiah Esquivel. On the middle row are: Yvette Cazares, Mario Salinas, Anna Cazares, Crystal Pinon. On the back row are: Joseph Esquivel, Julio Perez, Carlos Nava, Eri Longoria, Jocelyn Lopez. Not pictured are: Jorge Andres Garcia, Edgar Navejar, Jacobo Solis, Edward Markowsky, Emma Contreras.